If you’re expecting a baby, you need high-quality sunscreen that protects you and your little one. Colorescience offers pregnancy-safe sunscreen made with natural ingredients that nourish and protect your skin while keeping your baby safe. Why is it important to protect my skin while pregnant? If you’re expecting, it’s especially important to protect your skin from the sun’s UV rays. Hormones drastically increase while pregnant, and these hormones can dramatically change your skin. These hormones make the pigment-producing cells, called melanocytes, more sensitive to the sun. Your reaction to the sun can cause chloasma, a condition that produces dark brown patches on the skin. If you’re expecting, don’t step out of the house without some form of sun-protection. What chemicals should I avoid in sunscreen while pregnant? 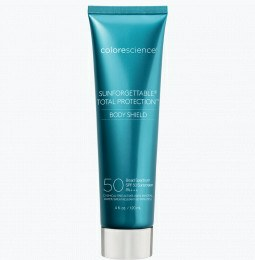 Are there safe sunscreens I can use? Yes! 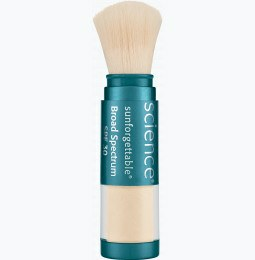 Powder sunblock contains natural minerals that protect the skin without causing irritation. 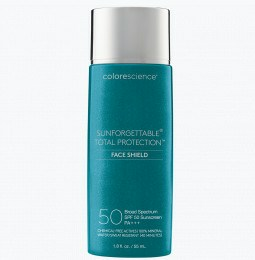 Colorescience offers Powder sunscreen with SPF 50 to help protect delicate skin from the sun’s harmful UV rays. 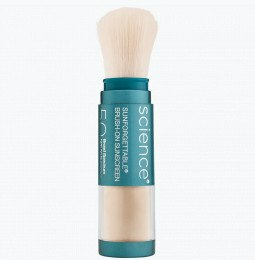 The minerals contained in our Physical sunscreen powder are non-comedogenic, so they provide protection without clogging your pores. 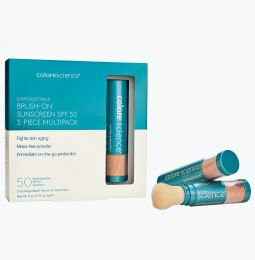 Does Colorescience offer sunscreen for my children? Colorescience offers sunscreen for children and sunblock for babies to keep sensitive skin safe. Your infant’s delicate skin is especially susceptible to sun damage, so it’s important to protect their skin using gentle skincare products. Our safe powder sunblock for babies will shield their delicate skin from the sun and minimize the risk of burns and irritation. Apply a layer of our safe kid’s sunscreen every two hours to prevent harmful burns, rashes, itching, and peeling.